The soap was created by Dr VP Sidhan, who was a doctor with the Indian Railways, in 1969 to treat skin ailments among railway labourers. The jade green Medimix soap bar is a familiar product on the toiletries rack in most Indian households. It is also the hotelier’s common choice when it comes to complimentary soaps, tossed in a mix of personal care products. Touted to be India’s largest selling handmade soap, Medimix had humble beginnings in its founder’s kitchen. Vinayachandran, Vice President of AVA Group, which manufactures the soap, recalls that the soap was essentially created by Dr VP Sidhan, who was employed as a doctor with the Indian Railways, in 1969 to treat skin ailments among railway labourers. “Dr Sidhan came from a family of Ayurveda practitioners. The family had an oil that they prescribed for all kinds of skin disorders,” says Vinayachandran. Later, Dr Sidhan would go on to use the oil in a different form to make soaps that were initially available as prescribed drugs in a very few pharmacies in Chennai. “In fact, he and his wife made these soap bars in their own kitchen and Dr Sidhan began prescribing it to his patients,” he adds. 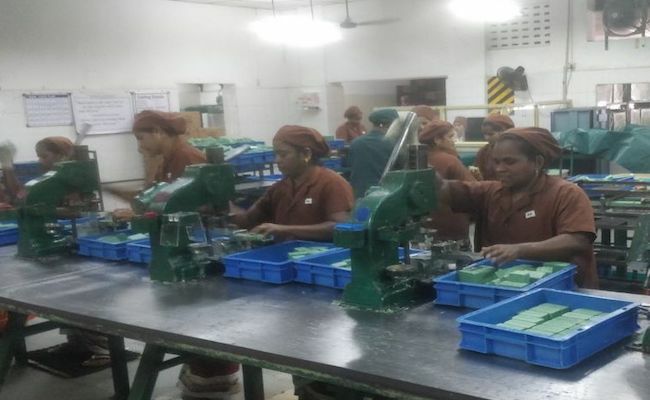 When the soap’s ability to heal most skin problems spread by word of mouth, Sidhan began manufacturing them in the early 70s in a small rented building in Perambur with just one employee. Medimix largely remained a prescription product during this period. “Our early advertisements carried the tag line ‘doctors prescribe’ because that is exactly how it started,” adds Vinayachandran. In the early 80s, a major labour strike made them shut down the unit in Chennai for a couple of years but the soaps were being manufactured in the other units. Work resumed in 1983 and that’s when AV Anoop, Sidhan’s son-in-law, got on board. The factory in Madhavaram was started in 1984. The group bifurcated recently into Cholayil Private Limited, managed by Pradeep Cholayil (Dr Sidhan’s son) in the north, and the AVA Group in the south, managed by Anoop. A smooth wrapper encases the soap bar that boasts of 18 herbs used in its production. Taking us through the small plant in Madhavaram that manufactures the green bar, Vinayachandran tells us that while most soap manufacturers use soap pellets that come out as by-products from oil refineries, Medimix (with the exception of Chandrika) is the only brand that uses oil directly. The oils used are coconut oil, palm oil and castor oil. “Oil is nothing but fatty acid. And when you add caustic soda to it, you get soap and glycerine. It is a simple enough procedure if you know what you’re doing,” he smiles. He goes on to explain that a measured amount of herbal extract and perfume is added to the oil and soda mixture and the blend is stirred at regular intervals in big stainless steel cauldrons on a rotatable base. All the while, varying degrees of the ‘Medimix’ aroma assaults our olfactory senses. With timed stirring, the oil and soda mixture froths and rises up to the brim in an exothermic reaction. Going around the turntable, the different shades of green in varying textures – one a cheesy green and another a spongy green – indicates the time it was last stirred. Over the noise of the pumps, one of the employees points to a whiteboard on the wall to show that they keep a tab of the time the contents were last stirred. The hot mixture is then allowed to cool in steel containers on racks for a few days before it can be cut and packed in boxes. 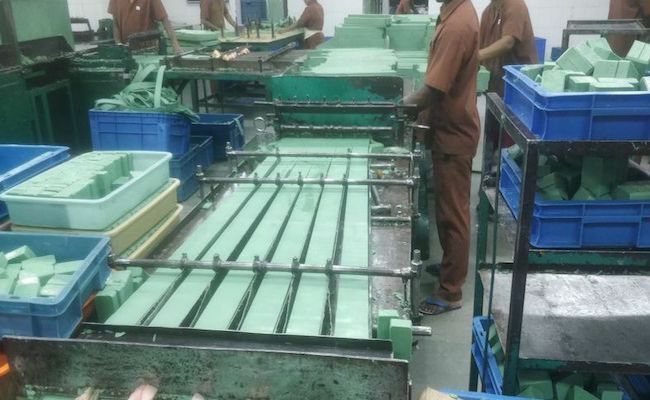 “The classic soap bar takes around 8 days to be ready for the market,” says Vinayachandran. The packing area in the unit is like a scene from Chaplin’s Modern Times. The employees are so swift with their actions that they chop, slice, shape and pack the green bars in seconds. We later learn that the factories churn out a whopping 800 to 900 tonnes of soap bars a month! 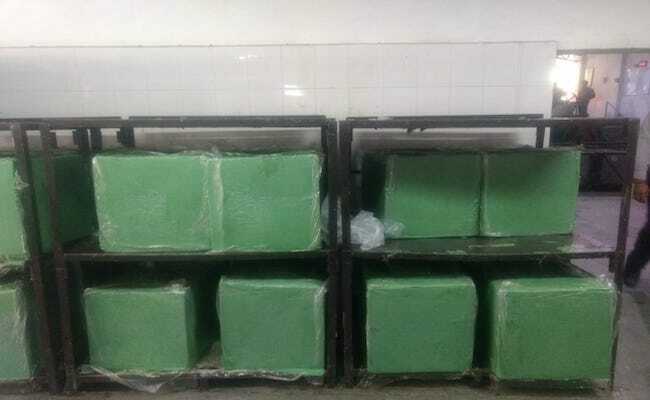 The AVA Group manufactures the green classic Medimix soap bars and quite a few variants in transparent glycerine bars. The classic green, however, remains the largest selling variant among the lot. The brand that is turning 50 next year has managed to maintain its loyal base of customers who vouch for its quality.